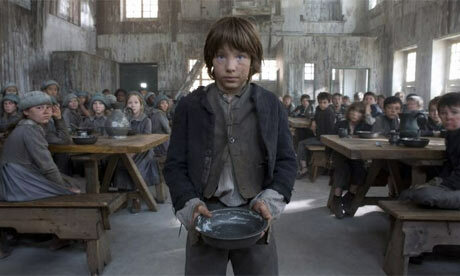 Yesterday, the House Government Operations Committee recommended passage of HB0261 aka The Oliver Twist Act. The bill, if passed and signed by the Governor, would reduce payments to families on certain government assistance if their child does not meet state educational standards. Yes, there are provisions for intervention, including tutoring and parent-teacher conferences, but that doesn’t take away from the reality. The State Legislature is considering a bill that would financially punish certain families that are already experiencing hard times, for the educational challenges of their children. The bill has garnered some national attention. MSNBC’s Melissa Harris-Perry did a segment on her show this weekend about it, as did Martin Bashear on the same network. The Huffington Post sounded the alarm back in January. The Daily Show covered the issue last night. Pretty dead on coverage. The author of the bill claims it would “break the cycle of poverty”. I’m not sure how reducing assistance to underemployed families accomplishes that, but even still, the potential financial penalties are not nearly as bad as the message the bill sends in a time when the state’s unemployment is in the upper reaches of 7% and wages haven’t recovered to pre-recession levels, especially for the working poor. And that’s who receives this kind of assistance, people who work, but due to the number of hours available or other market driven pressures, don’t make enough to survive without assistance. It says to these people, who are trying to get back up on their feet, here’s a stick, I’m not afraid to use it. And it puts undue pressure of children, who are likely already under a great deal of pressure due to their family’s circumstances. It tells these children that if someone else deems their best isn’t good enough, that their family will suffer. It doesn’t matter if there are interventions, or if the amount were considered negligible. It is a financial penalty, and one that would require school districts to report test results to another state agency, not to mention keeping up with who does and who doesn’t receive this kind of assistance. Tennessee has 1,091,100 people living in poverty. That’s nearly 17% of the population. 442,000 children, 24% of the child population in Tennessee lives in poverty. Both numbers are well above the national average. You have to ask yourself, with all this struggle and suffering, why on earth would anyone think another financial setback would help someone right their ship? Thus far, no one has been able to answer this question. The reason, they can’t. For all the talk of the Tennessee economic miracle that has been trumpeted by our Governor since last year, the reality for the over one million Tennesseans in poverty, and the 1.5 million people (23%) more who are one paycheck away from being completely destitute is anything but a miracle. Their reality is one financial crisis away from being a nightmare. Where are the opportunities to flourish, to thrive? Where is real investment in education, jobs, infrastructure? You know, the things that built the middle class and made our country great! You won’t get it from these folks. All they see is saving you $3.65 on sales tax a year, while they give huge tax breaks to the ultra-wealthy, and corporate handouts to companies that aren’t really employing Tennesseans in the first place. This is the same group of people who have done everything in their power to keep anything that might help regular working people from actually helping. They turned down billions of dollars for working people to have access to healthcare, that didn’t send them in the poor house because they didn’t like the idea of having to 10¢ on the dollar…eventually. To date, the state has collected over $127m MORE than they thought they would…and we’ve still got four months of this fiscal year ahead of us. $127m more and they can’t see the benefit of keeping 54 hospitals that care for working people up and running at current capacity…which means not only keeping the jobs we have, but also adding thousands of more jobs. $127m more and they think that creating a punitive system that punishes children and families is a good way to increase educational outcomes. $127m more and they haven’t invested one red cent in the people who could actually benefit from it. They’ve arbitrarily cut spending across the board, damn the consequences, and in the process, seen a net increase in poverty statewide. They’ve done this, not because they thought it was the best thing for the people, but because they felt it would score them political points. Because they think you aren’t paying attention. Its sick, and disgusting. And this bill, to take money away from families that are already struggling…and working. This bill, if anything, is the most clear example of the way they think about working people, and how they operate…in the best interest of their ideology, rather than their constituents.